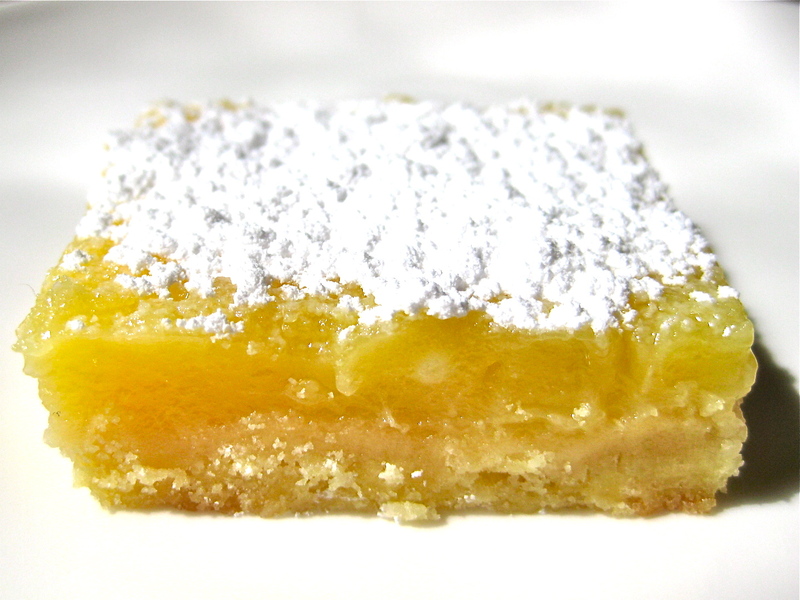 As the name suggests, this slice is bursting with lemony goodness. It is similar to a lemon tart, but less creamy, less subtle. With a short, crunchy base this slice is topped with a lemon custard that can be adjusted to suit your taste. Blitz flour, salt and sugar in a food processor, then add butter. Process till crumbly. If you don’t want it as tart, try using half milk, half juice. If you want it creamier, try using cream instead of milk. Keep a careful eye when this bakes…you don’t want the base too hard due to overcooking.